Being able to act with different accents is becoming a bigger and more pressing industry requirement for screen actors. Roles are often very dialectically specific and viewers are becoming more and more discerning in their expectations for an actor's accent portrayal. Many actors find this to be a tricky area and it can be so difficult to know what you need to do in order to bring your accent skills up to par, or to even know where to start. On the Authentic Accent Technique course, you will be equipping yourself with the fundamental skills and knowledge that underpins reliable accent technique. Taught by highly specialised industry Voice and Accent Teacher Janet Horn, this course has been developed to help actors like yourselves develop the skills you need so that you can breakdown and reproduce a specific chosen accent, and act freely and truthfully with it. Even if you are already relatively good at accents, you may not trust that your accent skill would be able to withstand audition nerves or stay consistent when you are performing in emotional scenes. This two day intensive training course will equip you with the fundamental building block skills involved in accent acting which will ensure your accents don't unravel when you need them most. How different consonant and vowels sounds are made in the mouth. Common consonant and vowel variations in English dialects- how to spot them and how to make them. How to breakdown an accent and develop an itinerary of its sounds. How to use practice sentences to develop fluency and agility with a new accent. How to tune into the intonation and rhythm of an accent and really embody its sounds. Authentic Accent Technique will not only teach you how to break accents down in a logical and meaningful way, but it will also allow you to be precise, confident and consistent when performing in an accent other than your own. Timings for both of the two days are from 10.30am - 16.30pm with a one hour lunch break. Advisable to arrive from 10.00am to start promptly at 10.30am. Comfortable clothes and footwear are advised. Janet Horn - click here to view Janet''s Biog on this website. 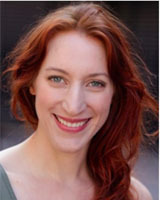 Janet Horn is currently an associate director at The International School of Screen Acting. In her practice she is a Voice, Accent and Dialect Teacher as well as a practicing Speech and Language Therapist. With an MA in Voice Studies from the Central School of Speech and Drama and a BSc Honours Degree in Communication Sciences and Disorders. With a strong foundation in Alexander Technique, Janet aids her students in their vocal development through deepening their sensory appreciation of the relationships between alignment, release, breath and voice. Using an array of dynamic and imaginative techniques, Janet helps her students find the connection between impulse, voice and text and find nuance and colour in their performances. With a passion for accents and dialects as well as a deep understanding of the cognitive processes underpinning speech sounds, Janet is able to expand her student’s speech sound repertoire to embody and perform accents with a sense of accuracy and ease.